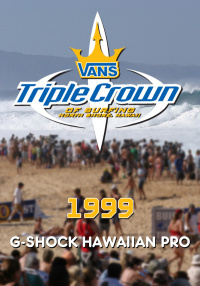 1999 Vans Triple Crown of Surfing: G-Shock Hawaiian Pro at Haleiwa. 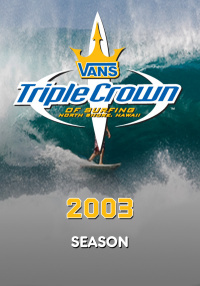 Starts out with some of the best Longboarders in the World where Joel Tudor faces Bonga Perkins in the finals. Also the women face off as Melanie Redman takes the title at the Billabong Girls finals and Tita Tavares wins the Hawiian Pro for the second straight year. For the men's Hawaiian Pro, we see Kaipo Jaquias, Derek Ho, Mick Lowe and Chris Davidson battle it out in the finals. 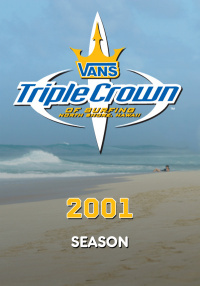 As broadcasted on ESPN.